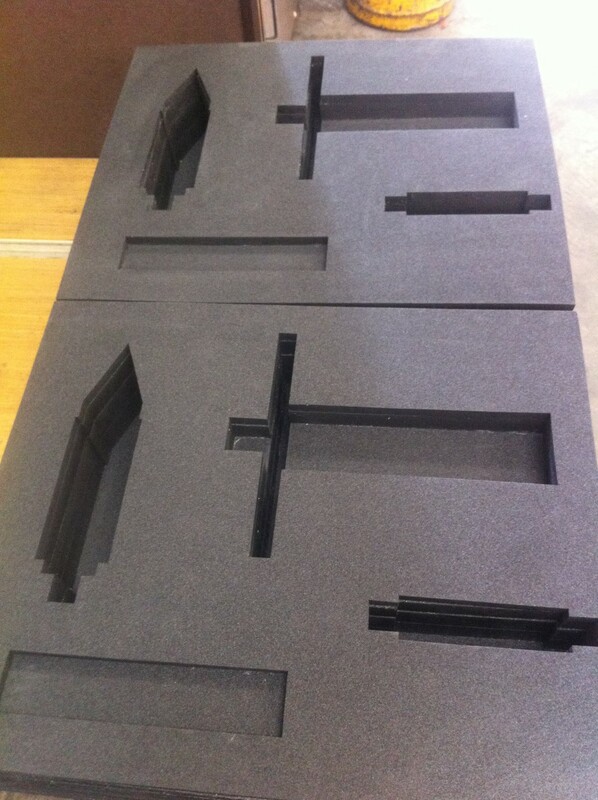 Manufacture profiled foam inlay for tool storage container. The foam inlay will securely hold the grinding wheel, locating spindle, polishing stick and spanner. The main body of the tray will be black and the backing will be red. When the tooling is missing this will be highlighted by the red backing. Produced from scaling photographs taken of parts on site. Approximate overall size: 380mm (W) x 450mm (L) x 90mm (D).